Log into your Weebly Admin Dashboard. Paste the Hotjar Tracking Code. 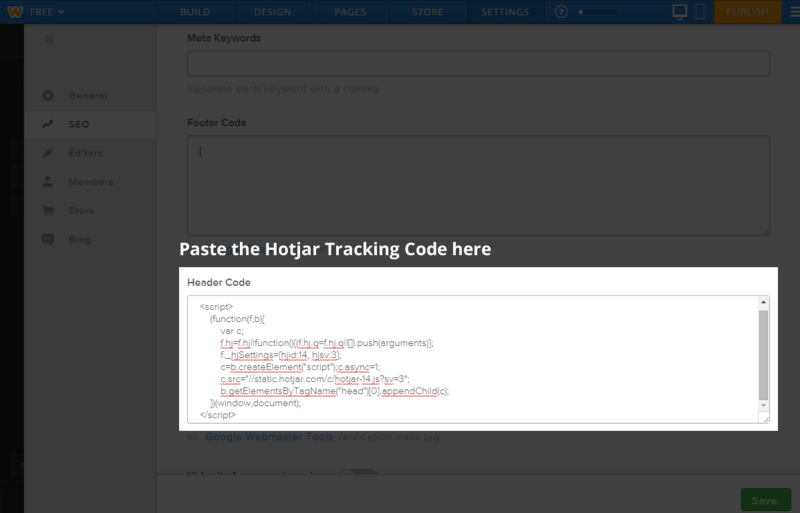 The Hotjar Tracking Code (including the <script> tags) should go in the Header Code text area, making sure you don't replace or remove any other code you already have there. Discover the difference between Accounts, Organizations, and Sites.